 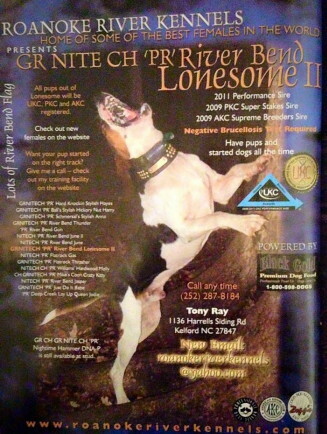 Grnitech River Bend Switch is the result from years of selective breeding done by Kent W. Spencer that first started years ago with the well known Ch Grnitech River Bend Flag. 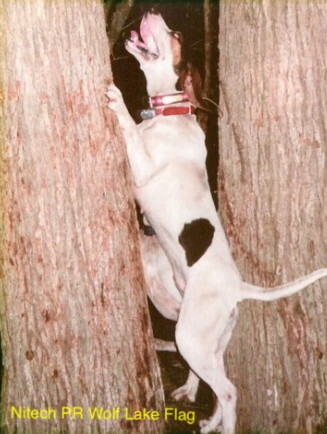 Throughout the years Kent has kept this same line of hounds alive by making certain crosses as well as out crosses where he felt was needed. 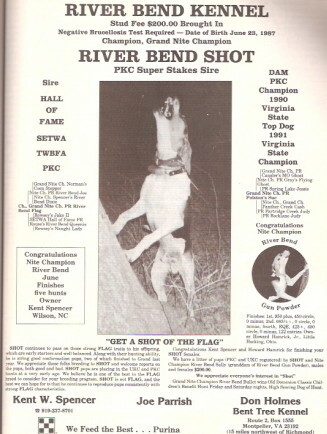 Below are a few pictures of some of the fine studs that helped to create the River Bend hounds as we know today. 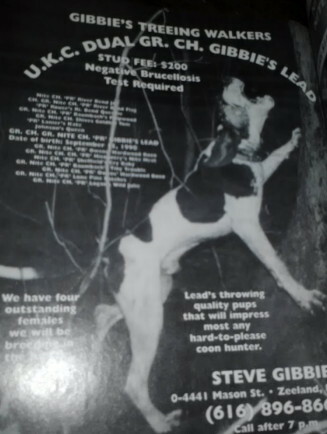 Many of the hounds below were owned by Kent himself at one time and are considered prime ingredients to his breeding program. 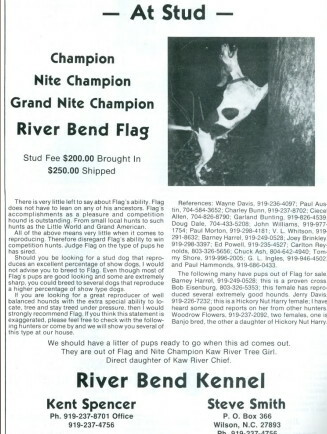 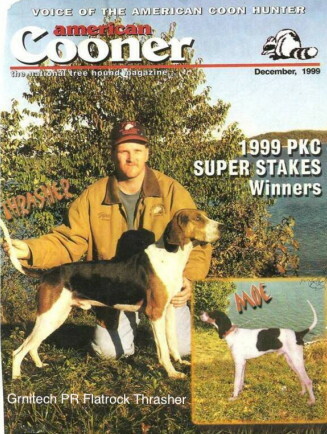 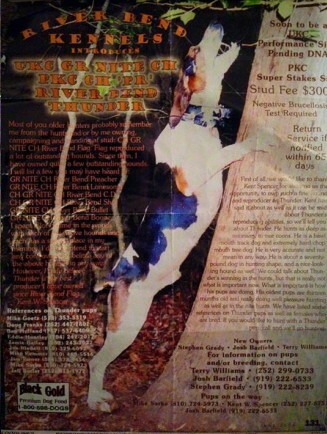 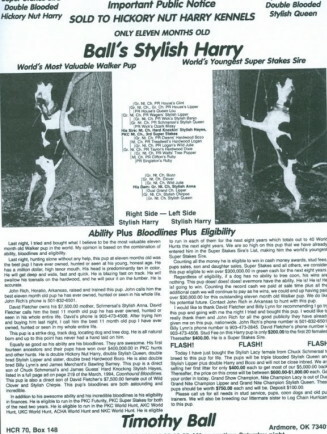 Others listed are hounds that Kent incorporated into his breeding program to fine tune what he had already bred.